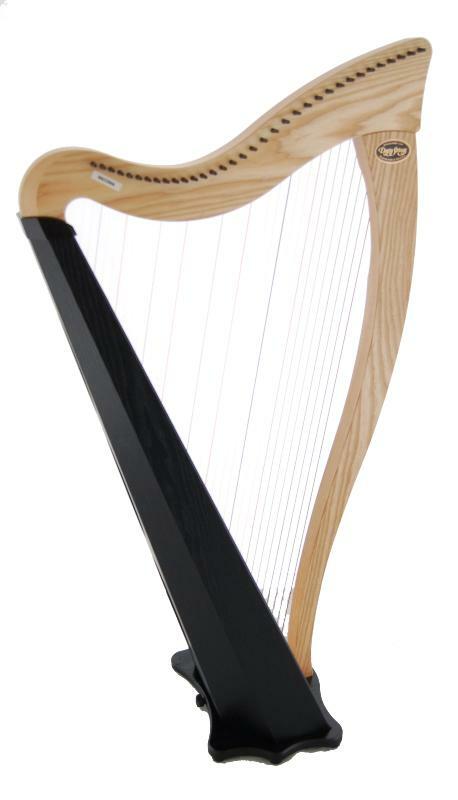 The distinctive Dusty Strings sound in a stylish, affordable 34 string harp. 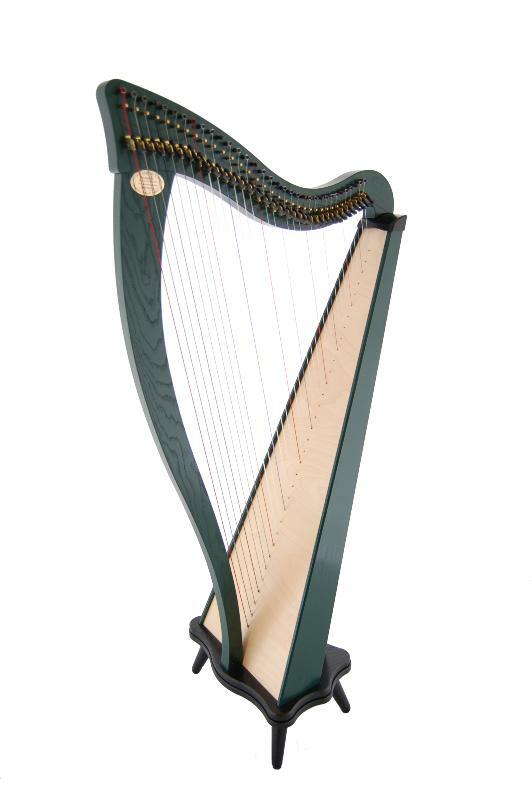 The Ravenna 34 offers the same great sound, striking appearance, affordability, versatility and portability as the popular Ravenna 26 - in a larger 34 string harp. 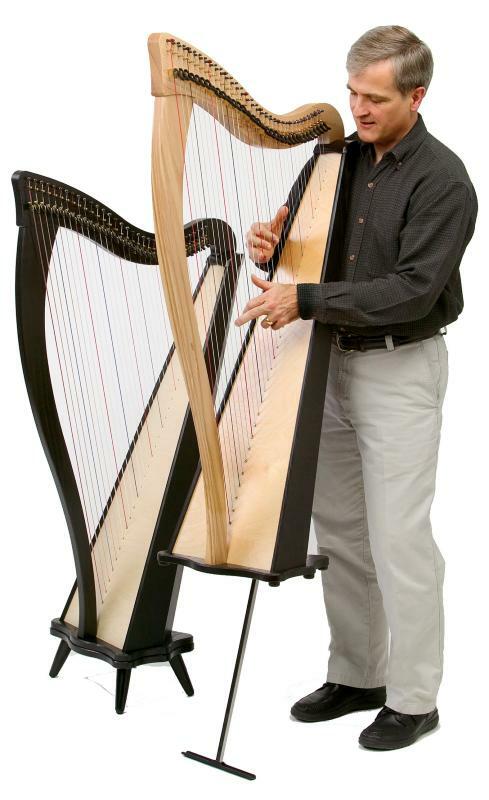 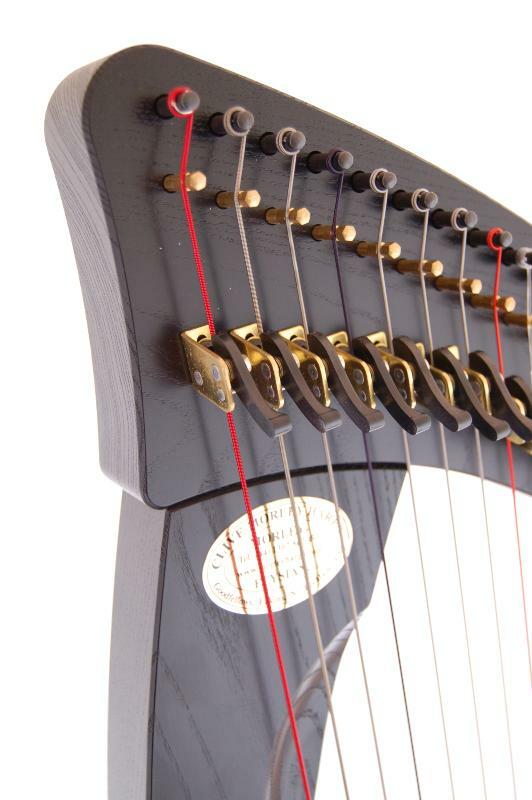 Its innovative design and construction techniques allow Dusty Strings to incorporate more features than are usually found in harps in this price range. 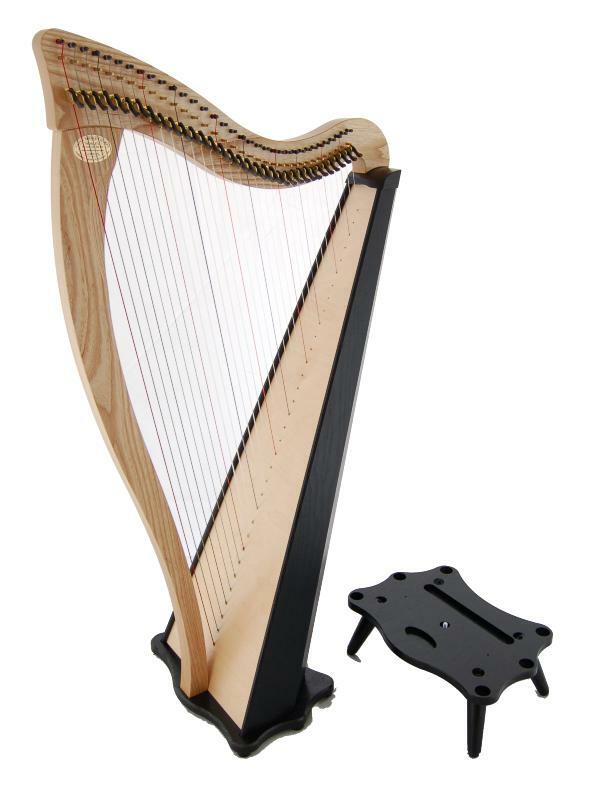 These features include a stave-back soundbox for greater playing comfort and a built-in leg which drops smoothly into place for the ultimate in convenient and adjustable playing support. 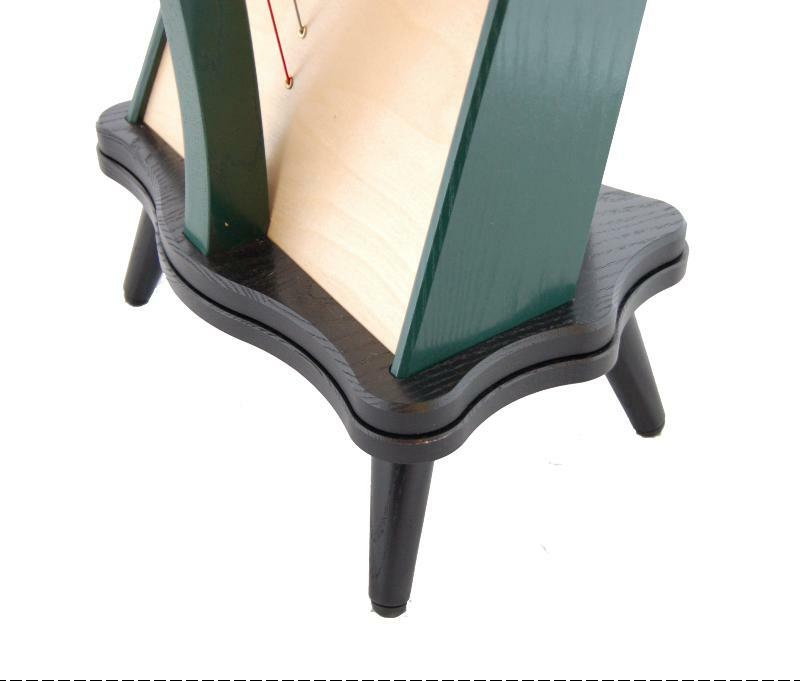 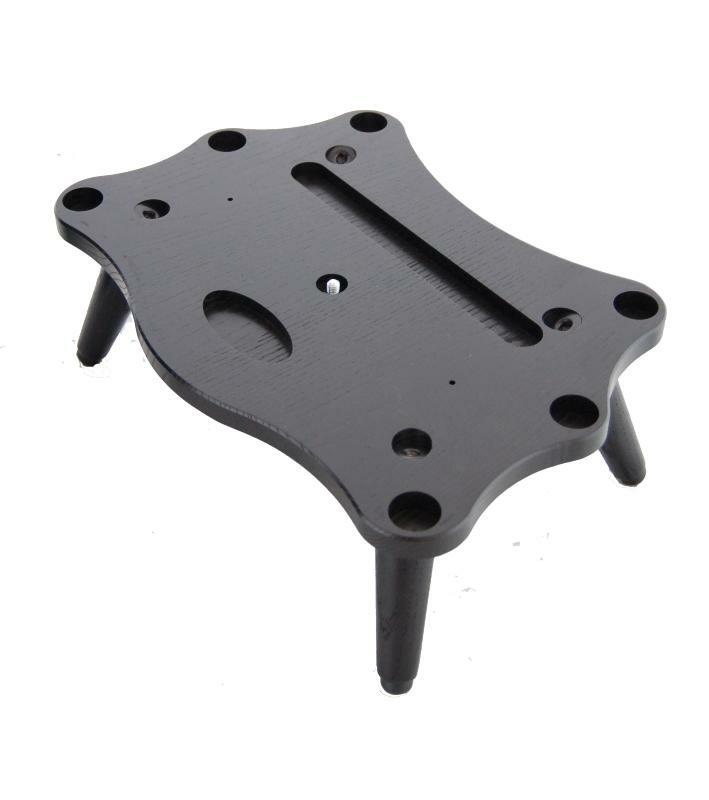 Thanks to this adjustable leg, the player is free to choose their own preferred playing position, whether it be seated on a stool or chair, or standing up. Together with Dusty Strings' characteristic bright treble and warm, strong bass sound; tuning stability; even string tension and spacing and meticulous craftsmanship, these unique features make the Ravenna 34 a great value harp. 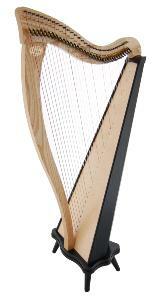 The Ravenna 34 features a laminated European birch soundboard. 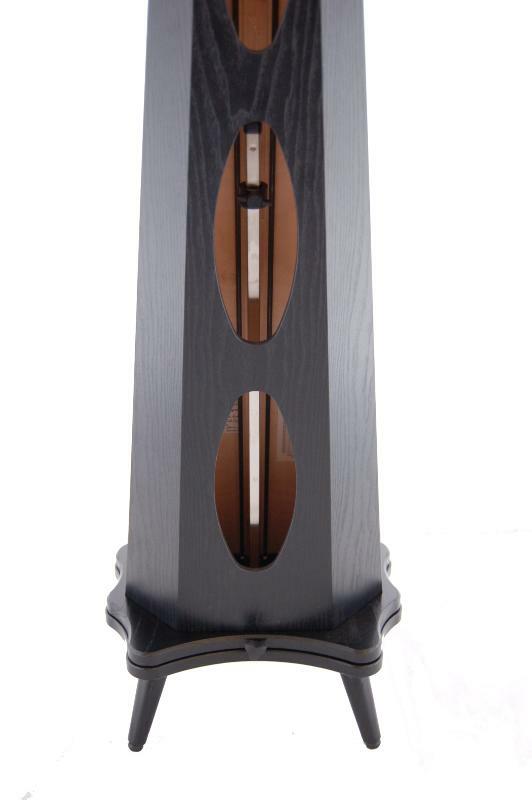 The Standard version of the Ravenna 34 comes with a solid ash neck and pillar with a clear lacquer varnish and a contrasting black black ash-grained vinyl veneered soundbody. 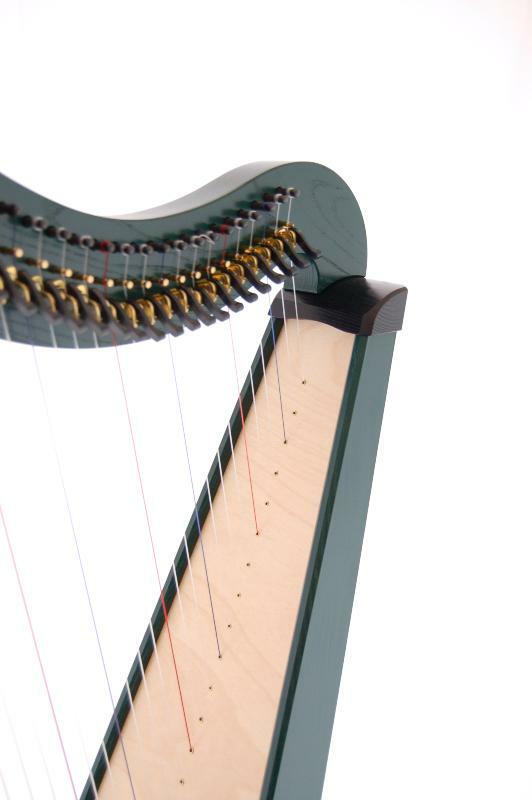 The Coloured version of the Ravenna 34 comes with a black, green or burgundy lacquered pillar, neck, soundbody and a light, natural soundboard.